This course helps you improve your presentations skills to make you a charismatic and persuasive presenter. Radiate sympathetic and confident traits as empathy, openness, authority etc. “Serve your knowledge on a silver platter”! of our participants rate their instructor as either “good” or “very good” at tailoring content and form to the needs of each attendee. Everybody who ever has to stand in front of somebody to present something, even if it is just your name and work title at a meeting, will find the tools of this course useful. The number of participants at each course will not surpass eight, which give the instructor plenty of time and space to see to the needs and wishes of each participant. If you have ever before spoken in front of an audience, you know that peoples’ minds tend to wander off after a while. On this course, we will work with your abilities as a presenter, in order to make you a charismatic speaker, able to keep the audience open and interested. We work on both the technical structure of your presentations, and with your voice, your diction, your body language etc. With these tools, you can facilitate your presentations in a well-balanced but powerful manner. Fight the nerves with effective but simple presentation techniques! Nervousness and tension are two of the great obstacles to a successful presentation. When the nerves take over, the flow of the presentation is disturbed. When this happens, the audience will start to focus on why you might be nervous, and you lose your connection. The good news is that tension and nerves are easily minimized through some simple presentation techniques. If you feel confident in what you are doing, and more importantly in how you are doing it, you will also appear confident and on top of the situation to your crowd! We’ve all heard that one before. And it’s true! When you do an oral presentation, your audience perceive many nonverbal expressions simultaneously with your intended topics. And these “unconscious” signals can actually be controlled and used to your advantage. On the course, you get an insight in how you come across as a presenter – and what corrections that are needed in order to boost your presentations! Amazing course. It was well-structured and interesting. The instructor was very competent, dedicated and brilliant at constructive and specific feedback. The course will have a great influence on my daily work. The course had strong theoretical content and a lot of practice in all points. I now have more confidence when I need to do a presentation. You will approach your presentations with far more assuredness than before. You will be in control of both your voicing and your bodylanguage, and thus eliminitaing the anxiety of making the wrong impression. You will be aware of the rethorical principles that make you a forceful and compelling presenter, and ensure that your suggestions and ideas will be heard and considered. You will be trained in adjusting your presentation to the specific audience, and thus make sure that you will be met with both attention and respect. Your company will discover your full potential as you will be able to present your ideas and proposals in a clear and engaging manner. Exciting and motivating presentations will highten the spirit within your workplace. You will engage your coworkers with your enthusiastic and compelling presentations, as well as inspire them to improve their own. No more wasting time with dull, ineffective presentations, that no one is even listening to. With your new, improved presentation skills everyone's time is much better disposed. The instructor cares about your learning! It is of utmost importance to us that the course makes a positive change for you. Therefore, we ask you about your needs and prerequisites prior to the course. After the course, your instructor makes sure that you can easily use your new tools and knowledge at your workplace. You receive a free mini guide when you sign up! We send you our little mini guide: “Get maximum value out of your courses” when you sign up for this course. The guide contains some simple but useful advice on how to get most value out of this course – and of all your future courses. Interested in a tailored course just for you? We arrange and facilitate tailored courses and educations at our clients’ premises every day. And we want to help you too! 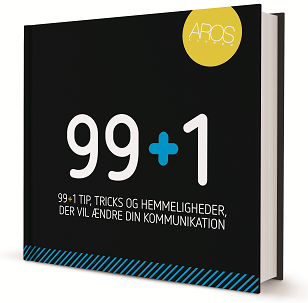 Call us for a chat on +45 70 278 279 or e-mail our head of educations Anders Rosenlund atanders@arosbusinessacademy.dk and get a non-binding offer for your particular situation. Dya is an excellent teacher. She combines her substantial teaching experience in the business sector with her skills from the theater branch to create a broad spectrum of tools and knowledge. 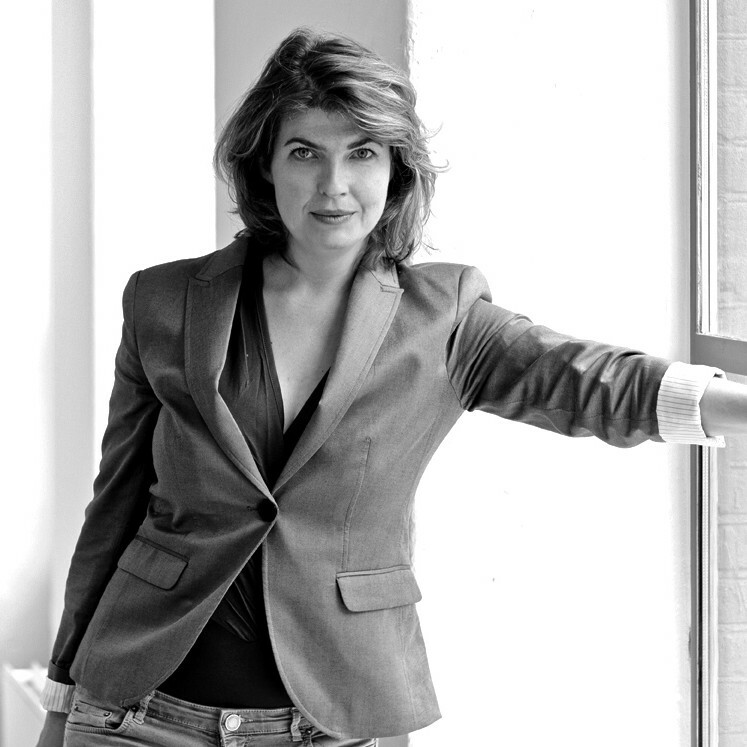 Dya holds a master’s degree in drama and theater pedagogy and she is educated as an actress from Århus Teater. Dya’s teaching strengths are communication, presentation techniques and personal impact. The prices are excl. VAT. When you buy this course, you also get a free mini guide, educational materials and extensive catering during the course. Payment is due a week before the course.